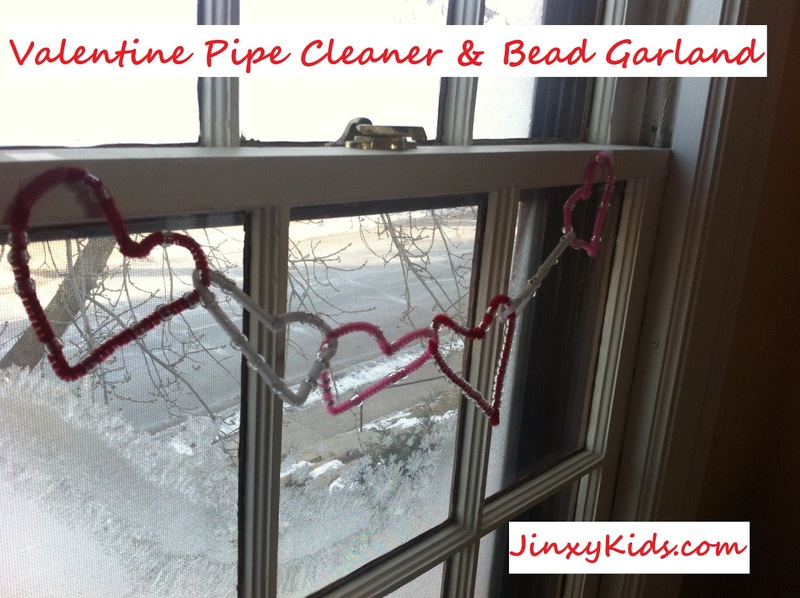 This is a fun (and cute) Valentine’s Day craft project that can get even the little tots involved. Make a pretty garland to decorate for Valentine’s Day using just colored pipe cleaners and beads. Once the beads are on, bend each side of the pipe cleaner into a curve, making a heart shape and twist other ends together to keep in shape. For each additional heart, loop it through the previous shape before twisting shut. We had a great time making these, but Little R actually had MORE fun making his own creations out of the pipe cleaners and beads!